This capacity expansion project at Edinburgh Waverley station, requiring the preservation of the station’s Victorian heritage, was split into four packages. Spencer Group was commissioned for packages 3 and 4. Package 3 concerned the southern part of the station, separated from the rest by the Klondike wall. 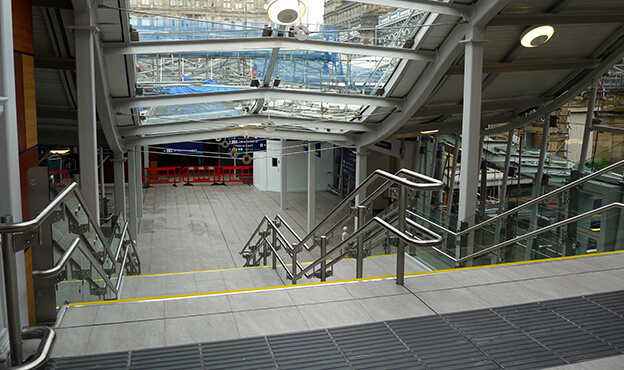 The project involved the removal and replacement of a major footbridge, demolishing existing buildings on two platforms, replacing a number of staircases, installing new lift shafts and lifts, replacing canopy roof cladding, repairs to historically important walls, and a wide range of paving, resurfacing, recladding and painting work. The Spencer Group team successfully removed the canopies over Platforms 8 & 9. This involved carefully preserving the historic steelwork columns and supports, blasting and painting the structure and installing new roof steelwork and glass coverings. The roof is limited to 12.8m above rail level by statute and the station has listed building status, so precision engineering and an eye for detail were crucial throughout the works. To maximise the smooth running of the station during the project, the team installed a temporary bridge to enable the removal of the Market Street Bridge. This meant going through a historic Klondike stone wall in the side of the station. A stonemason painstakingly removed a section of 2.3m thick Klondike wall, slab by slab, and numbered each one in order to replace them exactly as they were. 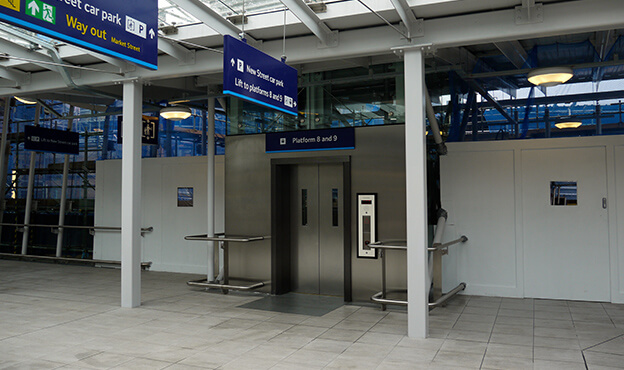 The completion of Package 3 has seen Edinburgh Waverley upgraded and improved to allow for greater capacity going forward. 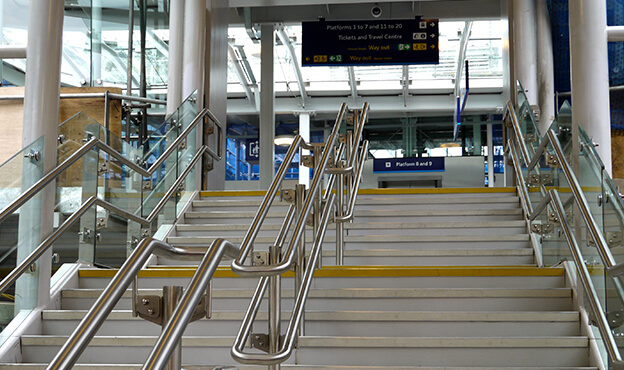 Passenger access was maintained throughout the works, minimising lost revenue for the rail network.